HONOR, the leading smartphone e-brand, pursues its GCC expansion plans by debuting its retail presence in Saudi Arabia with the launch of the first shop-in-shop at Jarir Ahasa Showroom in Riyadh. The same will be followed by charting a wider presence across the GCC with plans of opening several physical presence outlets in the pipeline. The shop-in-shop is designed to create a comprehensive retail experience presenting youth in the Kingdom the opportunity to access HONOR’s robust portfolio of devices and accessories. Likewise, HONOR’s expansion plans in the GCC is targeted to appeal to a youth demographic that is driven by trends and fashion which resonate with HONOR’s spirit and the brand’s inherent identity. “GCC is a key focus region for us with a well-established smartphone penetration where HONOR is fortunate to enjoy a healthy customer base. The boom in consumption of technology in the region has paved the way for HONOR’s business strategy to adapt a more customer centric approach. Alongside the unveiling of our first shop-in-shop in the Kingdom, we are looking forward to consolidating our presence in the GCC with potential outlets in several other markets within the region aligning with our objective of reaching directly to our customers and being closer to them.”, said Chris Sunbaigong, President, HONOR, MEA. 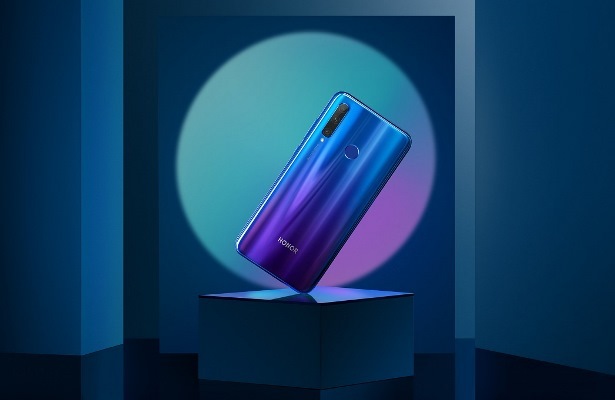 The recently launched HONOR 10i, which has already begun its pre-orders in the UAE and KSA, packs in refined camera capabilities including the pioneering triple-lens camera and a breakthrough 32 MP pixel selfie camera. HONOR 10i will be available on the shelves at the shop-in-shop from April 18, 2019 onwards for customers to check out and make on the spot purchases in the Kingdom. While customers across UAE, Oman and Qatar can get their hands on the latest HONOR 10i from next week onwards by making online or direct purchases at HONOR’s multiple vendors and authorized dealers.